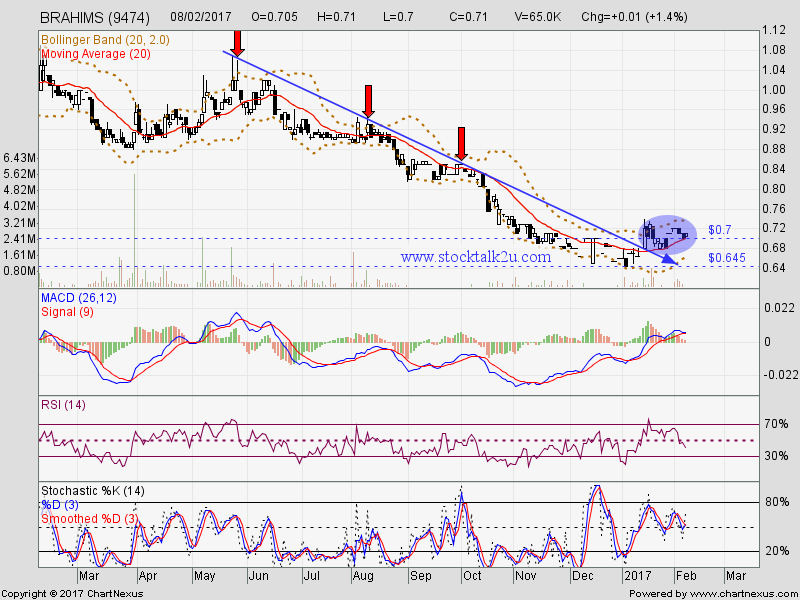 BRAHIMS (9474) succeed breakout downtrend resistance level. Immediate support @ RM0.68 level. Subsequent support @ RM0.65 level. 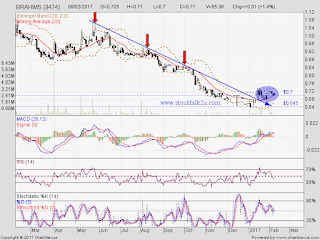 Immediate resistance @ RM0.73 level. Subsequent resistance @ RM0.755 level. Let's watch closely upcoming quarter result.